Affordable neat and clean three bedroom 2 bath all one level Fleetwood home on a tree lined residential street. Country kitchen, huge master bedroom, all rooms are generous size. Range and refrigerator included. Fenced on two sides. Alley in back and parking strip in front for off street parking. 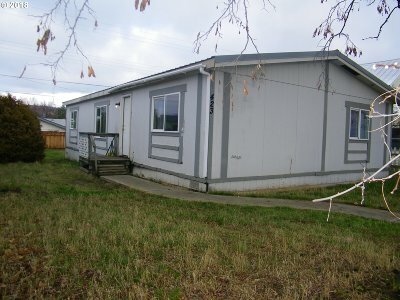 The manufactured home is a second time placement--terms are cash, veteran loan or 21st Mortgage..